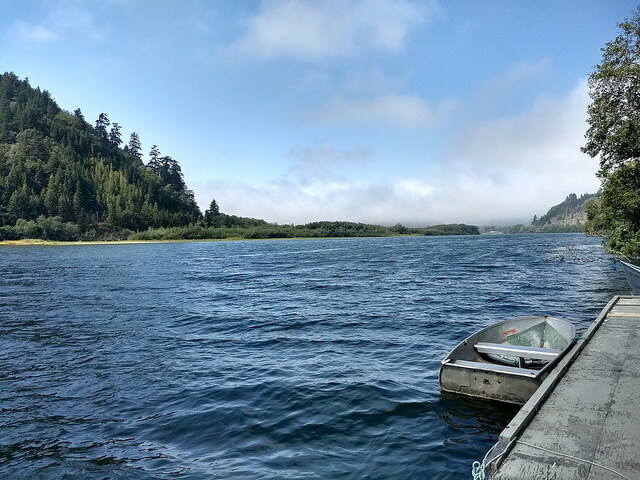 The increase in temperatures favours the proliferation of lethal fish diseases and the absence of fish has devastating effects on the Yurok, the largest group of Native Americans in the state of California, who live in the Klamath River basin. “The river level is dropping at a time when it shouldn’t. The water warms up in summer and causes diseases in the fish. This changes the rhythm of the community and has social effects,” lawyer Amy Cordalis, a member of the tribe, told IPS during a tour of the watershed. Cordalis stressed that the community of Klamath, in Del Norte county in northwest California, depends on fishing, which is a fundamental part of their traditions, culture and diet. The Yurok, a tribe which currently has about 6,000 members, use the river for subsistence, economic, legal, political, religious and commercial purposes. This tribe, one of more than 560 surviving tribes in the United States, owns and manages 48,526 hectares of land, of which its reserve, established in 1855, covers less than half: 22,743 hectares. Conserving the forest is vital to the regulation of the temperature and water cycle of the river and to moisture along the Pacific coast. The Yurok – which means “downriver people” – recall with terror the year 2002, when the water level dropped and at least 50,000 salmon ended up dead from disease, the highest fish mortality in the United States. And in 2015 no snow fell, which affects the flow of water that feeds the river and is fundamental for the fishery because in March of each year the salmon fry come down from the mountain, Cordalis said. This species needs cold water to breed. The federal government granted the Yurok a fishing quota of 14,500 salmon for 2018, which is low and excludes commercial catch, but is much higher than the quota granted in 2017 – only 650 – due to the crisis of the river flow that significantly reduced the number of salmon. The migration of fish downriver has also decreased in recent years due to sedimentation of the basins caused by large-scale timber extraction, road construction, loss of lake wood and loss of diversity in the habitat and fishery production potential. As a result, the number of chinook salmon (Oncorhynchus tshawytscha), green sturgeon (Acipenser medirostris) and Pacific lamprey (Lampetra tridentata) have dropped in the Klamath River, while Coho or silver salmon (O. kisutch) are listed as threatened under the Endangered Species Act. A reflection of this crisis, in Cordalis’ words, is the ban on commercial fishing for the third consecutive year, with only subsistence fishing allowed. 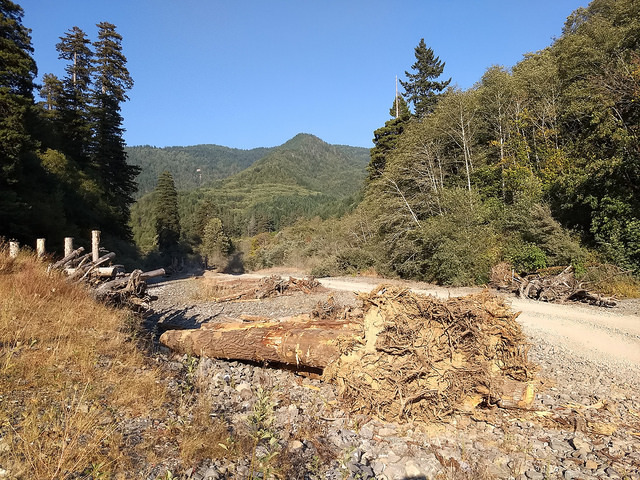 Faced with this, the Yurok have undertaken efforts for the conservation of the ecosystem and the recovery of damaged areas to encourage the arrival of the salmon. In 2006, they began placing wood structures in the Terwer Creek watershed as dikes to channel water flow and control sediment. “We had to convince the lumber company that owned the land, as well as the state and federal authorities. But when they saw that it worked, they didn’t raise any objections. What we are doing is geomorphology, we are planting gardens,” Rocco Fiori, the engineering geologist who is in charge of the restoration, from Fiori Geo Sciences, a consulting firm specialising in this type of work, told IPS. Tree trunks are placed in the river bed, giving rise to the growth of new trees. They last about 15 years, as they are broken down and begin to rot as a result of contact with the moisture and wind. But they generate more trees, giving rise to a small ecosystem. They also facilitate the emergence of vegetation on the river ford, explained Fiori, whose consulting firm is working with the Yurok on the restoration. Starting in the fall, this strip is flooded every year, which favours the abundance of organic matter for the salmon to feed on, allowing them to grow and thrive in the new habitat. In addition, four of the six dams along the Klamath River and its six tributaries, built after 1918 to generate electricity, will be dismantled. The objective is to restore land that was flooded by the dams and to apply measures to mitigate any damage caused by the demolition of the dams, as required by law. The Copco 1 and 2, Iron Gate and JC Boyle dams will be demolished in January 2021, at a cost of 397 million dollars. The owner of the dams, the PacifiCorp company, will cover at least 200 million of that cost, and the rest will come from the state government. “The removal of the dams is vital. 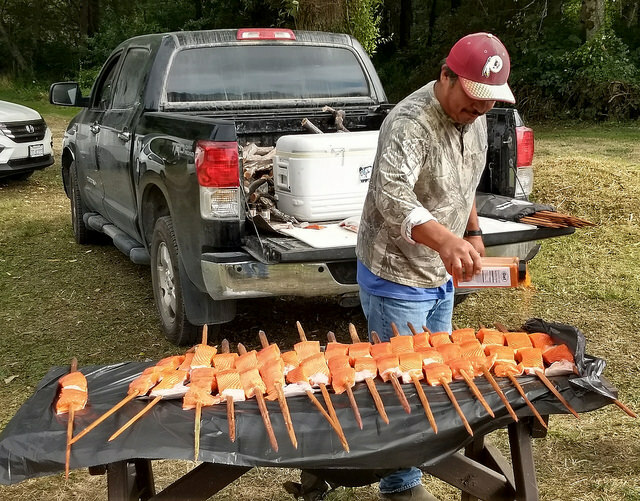 It’s a key solution for the survival of salmon,” biologist Michael Belchik, of the Yurok Tribe Fisheries Department, who has worked with the tribe for 23 years, told IPS. The four reservoirs hold between five million and 20 million cubic metres of sediment, and their removal will provide 600 km of suitable habitat for salmon. It is estimated that salmon production will increase by 80 percent, with benefits for business, recreational fishing and food security for the Yurok. In addition, the dismantling of dams will mitigate the toxic blue-green algae that proliferate in the reservoirs. Water conservation projects exemplify the mixture of ancestral knowledge and modern science. For Cordalis, salmon is irreplaceable. “Our job is not to let (a tragedy) happen again. The tribe does what it can to defend itself from problems and draw attention to the issue. We continue to fight for water and the right decisions. Our goal is to restore the river and get the fish to come back,” the lawyer said. 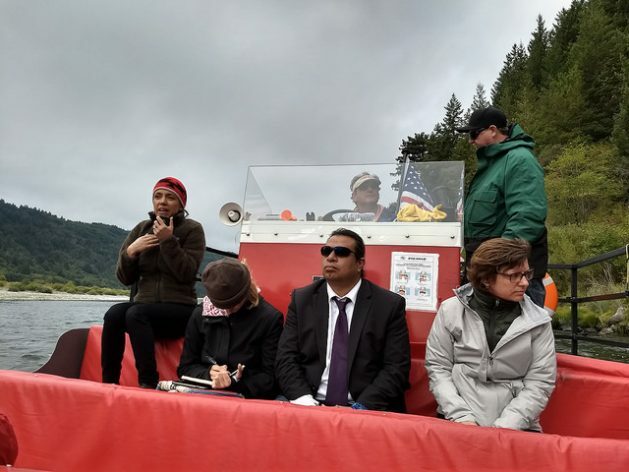 The Yurok shared their achievements and the challenges they face with indigenous delegates from Brazil, Colombia, Ecuador, Indonesia, Mexico and Panama in the run-up to the Global Climate Action Summit, convened by the government of California to celebrate in advance the third anniversary of the Paris Agreement, reached in Paris in 2015. The meeting will take place on Sept. 13-14 in San Francisco, CA. This article was produced with support from the Climate and Land Use Alliance .